I kept toying with the idea of going to Black Down to see the Parrot Crossbill, but by the time I decided to go, reported sightings of the Crossbill became sporadic to non-existent. This could either be because not many birders are going over to find it - most people who are interested in viewing this bird have already seen it - or it has gone elsewhere. Either way, it would be a clear and present danger that I would turn up and suffer another dip. And with everything going wrong that could go wrong recently, I couldn't stomach another disappointment. To elaborate, luck has recently left me to it. First it was the boiler, which decided to pack up on the coldest night ever recorded in Surrey - it got down to -18C in Chipstead Valley, which is only up the road. We got that fixed for an extortionate amount of money, and then the car broke down. The Peugeot 206 diesel was making a good stab at sounding like a bag of spanners in a tumble dryer. The big end had gone. This, in short, means a replacement engine is required, and someone to take the old one out and put the new one in. Fortunately, I have a spare car, a trusty old Ford Mondeo, which is built like a tank and is extremely durable - unlike the French Knitting-Needle-Shitbox. Then, of course, there is work. Or the distinct lack of it in February. Don't get me wrong, I've been busy up to a point, but not nearly as much I would prefer. Then there is the vet's bill. After our beloved Burmese cat Cato died at Christmas, our other Burmese cat, Billie - who has never known life without her partner for 17 years - has really suffered. She isn't really the same cat. Added to which she started sneezing blood - quite a lot of it. After various tests nothing could be found - but the bill was still eye-watering. Then there is Annie. She's not right, either. A few years ago, she had to have two lots of neurosurgery to laser a benign tumour on her pituitary gland (located at the base of the brain). Neither surgery was totally successful but tablets seemed to do the trick over a long period. Having come off these, things seemed fine, but now her levels have gone through the roof again, and after having an MRI in Oxford this last week, we are waiting for the results to see whether another intrusive surgery might be on the cards. So, apart from that, life is good. 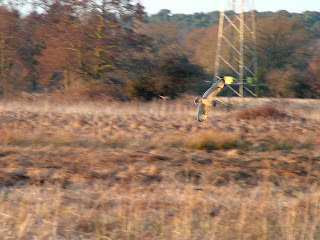 Which is why I pointed the Mondeo in the direction of Papercourt Water Meadows. 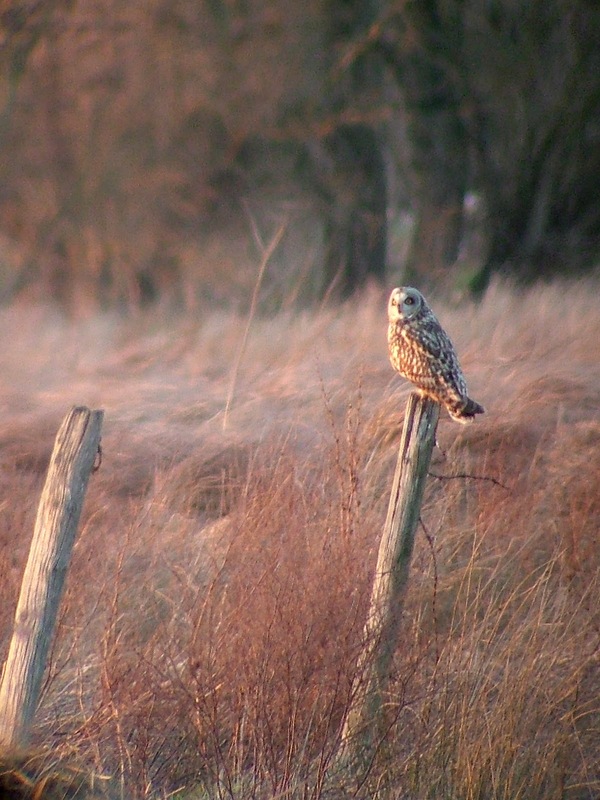 I needed a dead cert to guarantee a pleasurable late afternoon of birding to help me briefly forget all my woes. 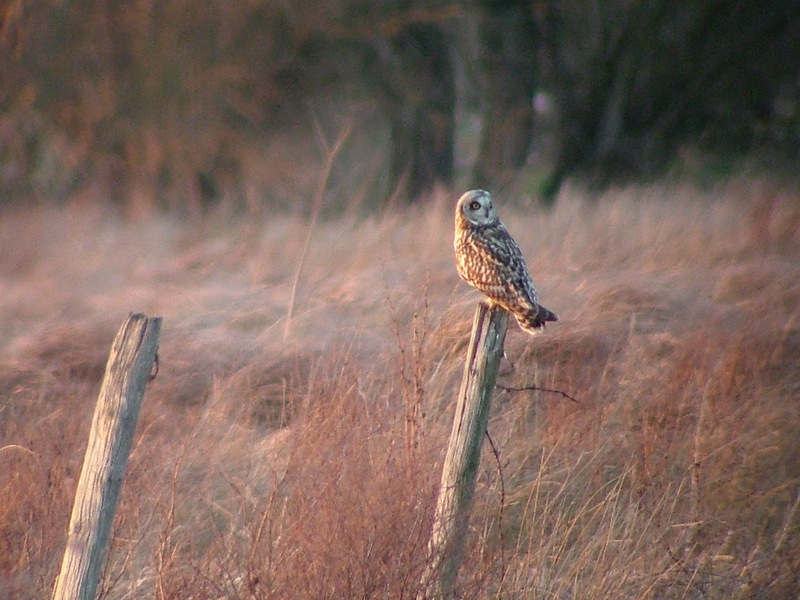 Watching the Short-eared Owls at Papercourt is one of life's pleasures. 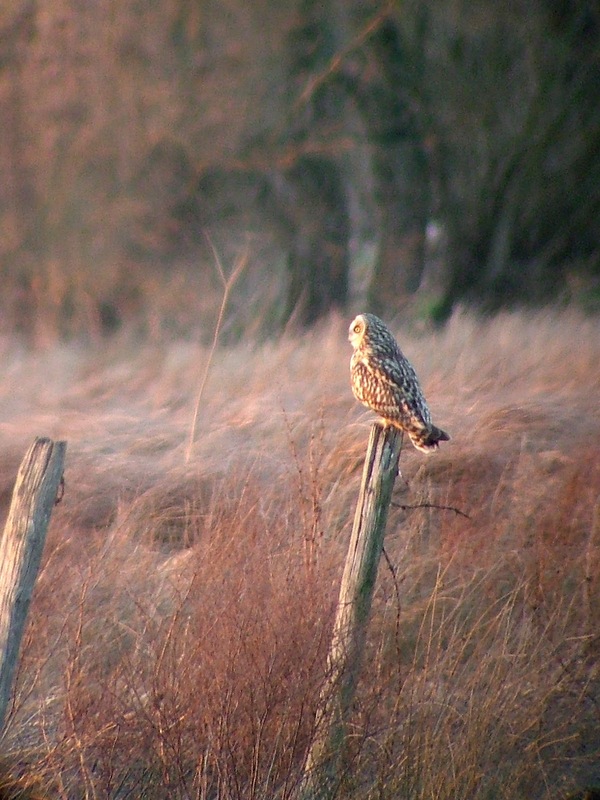 The sun was out, it was warm for the time of year, and at least three of these majestic Short-eared Owls came out to hunt at about 4.15pm for an hour. Thanks guys, you cheered me up no end.